Surface is very smooth, touch is very comfortable. 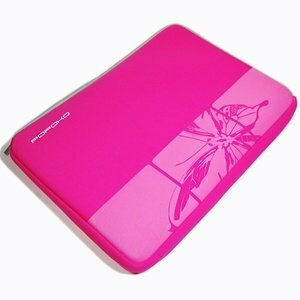 So I was especifically looking for a butterlfy themed laptop case and I found this one. I ordered it of course and it's cute. Personally I find it too soft for being a protective case. Overall, it fitted my 15.6'' laptop perfectly. It doesn't have any other pockets, so I guess you will need another bag to put the charger or other things.